NAME: L.L., CASE #: xxxxxx EXAMINED: xxxxx SUBJECT: Neuropsychological examination and determination of mental, cognitive, and neurological status of defendant who is charged with stabbing a woman to death. Mr. L.L. was previously interviewed and examined on 3/8/96, and a report issued the same day. Pursuant to the request of his attorney, the defendant, Mr. L.L., was examined for 4 hours in the Santa Clara County Jail, and a number of neuropsychological tests were administered to determine his neurological and cognitive status. Intellectual, perceptual, attention, visual-spatial, linguistic, somesthetic, memory, reading, math, and conceptual functioning were assessed via the Wechsler Adult Intelligence Scale-revised, Wisconsin Card Sort, Rey Auditory Verbal Learning test-revised, Wechsler Memory Scale, Incomplete Words Test, Gates-Maginitie Reading Tests-revised, subtests from A. Luria & the Halstead-Reitan and related measures. In addition, investigative police reports and those medical records made available were reviewed. OBSERVATIONS. Mr. L.L., a 30 year old, Hispanic male, was informed as to the purpose of the exam including the fact that what ever we discussed and the test results were not confidential and would be communicated to his attorney who in turn would likely release this information to the courts. He indicated that this was understood. Mr. L.L. was dressed appropriately, was reasonably groomed, and was oriented and seemed much more alert and responsive and much less depressed, compared to his previous examination in 1996. Whereas previously he appeared somewhat confused and mildly obtunded, there is currently little evidence of these disturbances and he appeared and behaved in a socially and emotionally appropriate fashion. He was cooperative and forthcoming and was able to communicate affectively. There was no overt or gross evidence of delusions, paranoia, mania, or the presence of a formal thought disorder, and he denied currently experiencing auditory or visual hallucinations. However, his overall demeanor remains suggestive of a psychosis in remission and the test results, reviewed below, confirms my previous impressions indicating neurological dysfunction and thus brain damage which is probably secondary to several head injuries, his extensive drug use, and a single overdose of drugs which resulted in a prolonged coma (confirmed by medical records). PRESENT CRIMINAL CHARGES. Mr. L.L. was charged with murdering his girlfriend. Specifically, Mr. L.L. is accused of stabbing her to death. DEFENDANT'S RESPONSE TO & EXPLANATION OF CHARGES. Mr. L.L. continued to demonstrate considerable remorse and depression regarding the death of his girlfriend. As during our previous exam, he claimed he could not recall all the details of the murder. According to Mr. L.L., he had been drinking beer, smoking PCP, and "slamming coke" (i.e. injecting cocaine), prior to going over to her house. He also notes that he was feeling paranoid from the cocaine -that "everybody's looking for me... it drive me crazy..." He states that after he arrived at her home she told him she was leaving for Colorado and that her brothers were coming. He stated he became upset and afraid when she said she was leaving, but even more fearful when she informed him that her brothers were on their way over as he was aware that they might harm him because he had mistreated her in the past. He remembers vague details about the knife in question, and stated that she kept a knife under her bed, but that he may have gone to his car to retrieve a knife, in order to protect himself, when she said her brothers might be stopping by. However, he continues to insist that he does not recall the actual murder. HISTORY. Mr. L.L. 's personal history is detailed in the report issued on 3/28/96, and only a few pertinent details will be repeated here. He states he is unable to recall his childhood other than he was frequently in trouble and that he was kicked out of school in the 9th grade. He completed his education while in the Youth Authority. He does not know if he obtained a GED. He was unable to inform me if he was considered learning disabled. He has spent most of his adult life in jail (predominantly for drug related offenses) and that he has never been out of jail for more than 6 months. He states he obtains most of his income from selling drugs. He has never been married but states he has fathered 7 children which were bore by 6 different women. He has a recent history of experiencing auditory and visual hallucinations, and was apparently diagnosed as schizophrenic in 1995 while jailed at Jamestown. Mr. L.L. admits to blackouts (as well as auditory and visual hallucinations) when using PCP, but denies epilepsy, seizures or possessing any special powers. He has been abusing drugs since age 14 and uses drugs any time he can get his hands on them. His drug of choice is PCP. He has apparently suffered several significant head injuries involving loss of consciousness and was in a coma for a month after overdosing on drugs. He claims he had to be taught how to walk and talk all over again during his recovery. MOTOR. He is right handed and observation of spontaneous motor activity indicates the expected tendency to activate the right half of the body more so than the left. Strength, tactile-motor, finger tapping and oscillation were not assessed. Across tasks requiring continuous perseverative or 3-step hand movements and when required to perform a "go-no go" (e.g. "When I hit the table palm down, you hit the table with the edge of your hand. When I hit with the edge, you hit palm down"), the patient demonstrated mild perseverative disturbances as well as micrographic and macrographic response tendencies. These results are suggestive of mild frontal lobe, and deep frontal disturbances involving the basal ganglia. SOMESTHESIS & STEREOGNOSIS His capacity to localize touch or recognize common objects tactually explored is within normal limits. Finger recognition was found to be within average limits, though mild errors were noted when he was required to recognize fingers touched on one hand by touching the same fingers with the other hand (while his hand was out of sight). These latter results are suggestive of subcortical dysfunction. ATTENTION & CONCENTRATION His ability to maintain simple auditory and visual attention was found to be within mild to moderately reduced limits. Concentration is also reduced. 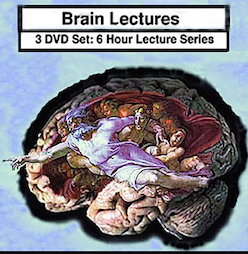 When presented with complex auditory material requiring sustained attention and the filtering of irrelevant or distracting stimuli, moderate attentional fluctuations and reductions were consistently noted such that the patient tends to become easily overwhelmed and distracted when presented with complexity--results suggestive of frontal lobe dysfunction. VISUAL-SPATIAL SKILLS His ability to attend to and diffentiate between relevant vs irrelevant visual detail and to solve complex mazes involving spatial-directional skills is mild to moderately reduced. His ability to draw and copy complex geometric-like figures is within average limits, although macrographic response tendencies were noted. However, visual-spatial abstract reasoning and manipulo-spatial skills are within average limits. EXPRESSIVE LINGUISTIC SKILLS. Word finding difficulty was consistently noted. Word knowledge, expressive vocabulary, and spelling were found to be mildly reduced. RECEPTIVE LINGUISTIC SKILLS All aspects of receptive language functioning, including judgment, common sense, and receptive vocabulary is within mildly reduced limits. Hence, comprehension appears to be mildly reduced. READING COMPREHENSION His ability to read and comprehend single sentences or to recognize incompletely written words is mildly reduced. His ability to understand high school level paragraph length material or to comprehend complex grammatical relationships presented in written format is mild to moderately reduced; i.e. he took an excessive amount of time to finish the paragraph reading test and still made a number of errors. MATH An evaluation of arithmetical functioning indicates low average to mildly reduced levels of ability when presented with auditory, written or standard visual high school level math problems. MEMORY Long term memory for public events, individuals and facts was found to be in the moderately reduced range. Immediate memory for simple auditory material is mildly reduced. When presented with 15 item verbal lists, he was able to learn and recall less than 75% of the the items (mild disturbance) and 30 minutes later was able to recall only 55% of the material (moderate disturbance). Immediate and short-term (30-minute delayed) memory for complex verbal narrative paragraphs is mildly reduced as is memory for written passages. Immediate and short-term memory for visual-pictorial material is within average limits. Overall, complex and short term verbal (but not visual) memory functioning is significantly compromised. Left temporal lobe and frontal lobe dysfunction is suggested. INTELLECTUAL FUNCTIONING Formal evaluation of intellectual capacity indicates that the patient obtained a Verbal IQ of 78 (% rank), a Performance-perceptual (non-verbal, visual-spatial) IQ of 85 (% rank), and a Full Scale IQ of 79 which places him in the Borderline range of intellectual functioning overall and at the 8% rank. This indicates that approximately 92% of the normative population scores at or above his level of achievement. A considerable degree of subtest variability is evident with a range of 12-5 (3 or more points are considered significant), results which are generally suggestive of acquired brain injury (e.g. such as secondary to head injury, drug use). Although his IQ appears to have increased by almost 10 points (as compared to those obtained in 1996), he thus remains in the Borderline range. It is likely that this increase is due to improvements in his overall mental status, for, as noted, he no longer appears to be as as confused, depressed or obtunded. As noted previously, Mr. L.L. has an understanding of the judicial process and the role of the judge, the prosecutor, the jury, and his attorney. He understands the nature of the charges and is capable of assisting his attorney in his defense. IMPRESSIONS & CONCLUSIONS. Mr. L.L. is oriented, alert, and of borderline intelligence, and he no longer appears to be confused or obtunded. There remains, however, evidence of psychosis in remission. He has been previously diagnosed as suffering from schizophrenia as well as severe depression with suicidal tendencies. Nevertheless, he no longer appears to be severely depressed, and he was able to respond in a rational manner to my questions and was cooperative throughout the examination. The overall pattern of results from the neuropsychological testing reported above, is indicative of cerebral impairment and brain damage involving the frontal lobes and subcortical structures such as the basal ganglia, as well as left temporal lobe injury. These disturbances are mild to moderate in severity and may be secondary to a combination of factors: Mr. L.L. has a long and extensive history of drug abuse, and his drug of choice is apparently PCP. He has also suffered from numerous head injuries. Medical records indicate that he has over dosed on drugs in the past and was in a coma. That he was in a coma indicates that brain functioning was compromised. Repeated head injuries also obviously result in brain damage, as can the abuse of drugs. As noted, he also has a history of auditory and visual hallucinations, disturbances generally indicative of temporal lobe abnormalities. He also has a history of psychosis, which again is associated with left frontal and left temporal lobe damage, and well as injuries to the basal ganglia (Joseph, 1990, 1996)--the same brain structures which are compromised in his case. Hence, the overall pattern of results indicating cerebral dysfunction are entirely consistent with the type of disturbances which might be suspected given his history of drug abuse, head injury, coma, and psychosis. In conclusion, the overall pattern of results are indicative of mild (to moderate) brain damage involving the frontal lobes, basal ganglia, and left temporal lobe. Joseph, R. (1990). Neuropsychology, Neuropsychiatry, Behavioral Neurology (Plenum, NY) Joseph, R. (1996). Neuropsychiatry, Neuropsychology, Clinical Neuroscience (Williams & Wilkins, Baltimore). Consult with Dr. R. Joseph, Ph.D.
$35.00 for 15-minutes of e-mail consultation (Paid In Advance). or e-mail consultation (Paid In Advance). $100.00 per 60-Minutes of telephone or email consultation (Paid In Advance). Because of the volume of e-mail Doctor Joseph receives, he will not be able to respond to your questions unless fees are paid in advance. Once Payment and Questions are Received, Doctor Joseph will contact you by e-mail or telephone, and will provide detailed written answers and analysis.